Oh, the places we will go! : Bring on the New Year! I've never been one to wrap up a year in a little box and label it before I put it away. I'll do a quick recap as any a blogger must but I don't look back on my life by years. My past is catalogued by events and memories, the years just seem to run together. But for 2015, I have the strong urge to put parenthesis around it, take a good, hard look at it and give it a firm send off. If I'm honest 2015 has been one of the hardest years of my life. It's as if I've been rolling a boulder up hill all year. There were a few times where I completely lost control and had to barrel back down the hill lest I be squashed by that boulder. I'm a woman that craves stability. I need a clear view of where we are and where we are going. We've both faced personal and professional challenges this year that have left me feeling very unsettled, all while my health has been completely fighting against me. I have a dear friend that goes through a very conscious effort of picking a word for each year and then she incorporates that word into each day, so maybe "trust" or "growth." Well, I didn't pick a word for 2015 and instead the word picked me. That word was "fear." Not a great word. I'm a worrier by nature. It's something I excel at, unfortunately. I spent all of 2015 in fear of what I might lose; health, relationships, opportunities, stability, love, contentment, youth, time, confidence, and myself. I've been clutching all of these things to my chest in fear that I was going to lose them. Now I look back at 2015 and realize that I lost little and I gained so much! I've managed to hold on to all of those wonderful things, mostly. The only thing that I really lost was my joy. I've been so afraid of what might happen that I didn't take nearly enough joy from all that I do have. What I'll take away from 2015 is that it's not enough to just be thankful for what you have. I'm always so thankful. I need to replace the fear of losing those things because it takes away all of my enjoyment of them. So that's my word for 2016... Joy. I'm going to take joy in all of these things instead of living in fear and worry all the time. Well, I'll still worry a bit. It's how I'm wired. But, I'm not going to let it take away from my enjoyment of life. Especially when 99% of what I worry about are things that I have absolutely no control over. 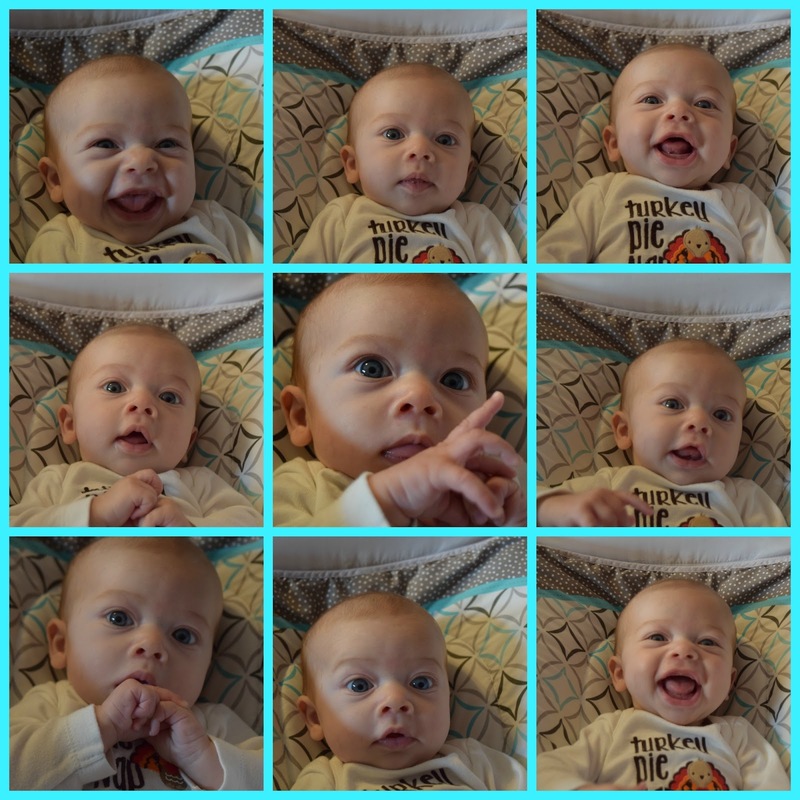 So, I consider 2015 an important lesson learned and also as the year that gave me this little bundle of pure joy! That makes it one of the best years of my life in spite of it being one of the most difficult. 2015 is the year that I witnessed my daughter's dreams of being a mother come true. I was able to be there to witness little Micheal's birth and to witness Jessica blossoming as a mother. What an absolute joy it is to see. I can't wait to see how they both grow in 2016. 2015 is my fifth year being married to this amazing man. It was a year of exhilarating travel experiences and the year I became a British citizen. It was a year of challenges that we've come through together and that will only make us stronger as a couple. So I'm putting 2015 in a box and putting it on the shelf with the others. This one certainly has an extra bright label on it. It was an important year. Now bring on 2016!